I first discovered the thunderous power of Japan’s Kodo 20 years ago, when the Taiko drumming masters provided the scintillating soundtrack to the Christopher Lambert film, The Hunted. It was like nothing I’d ever heard– epic and exotic, emotionally dynamic, intricate and primal at the same time. I’ve been a devout fan ever since. 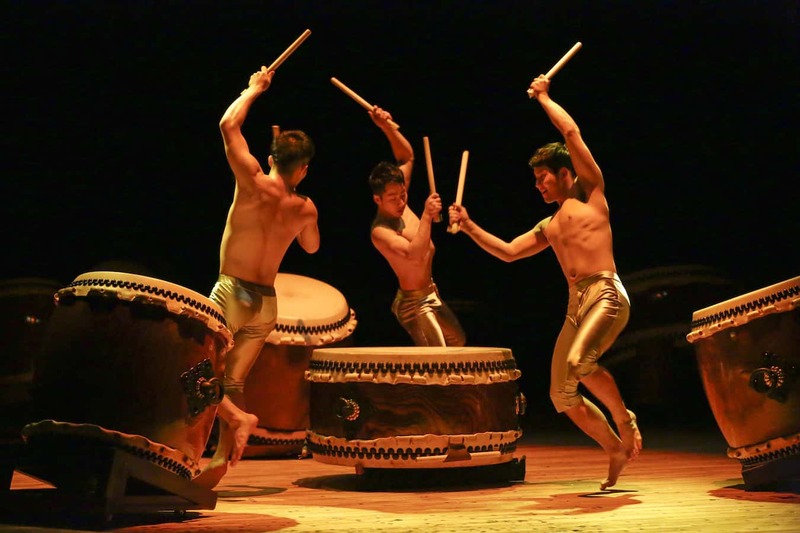 Making their debut at the Berlin Festival in 1981, Kodo is based on Japan’s Sado Island. 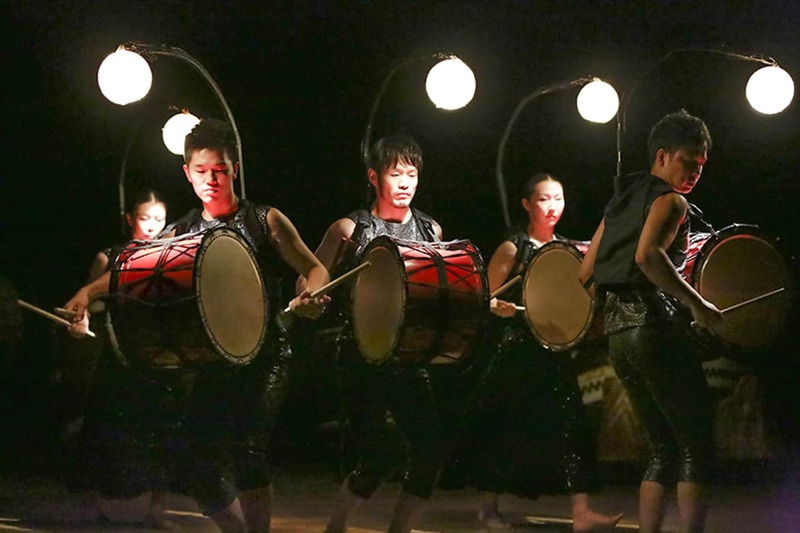 They’ve since given over 5500 performances in 46 countries worldwide under the theme of “One Earth,” using music as a universal language through which they connect their traditional Japanese culture with others. 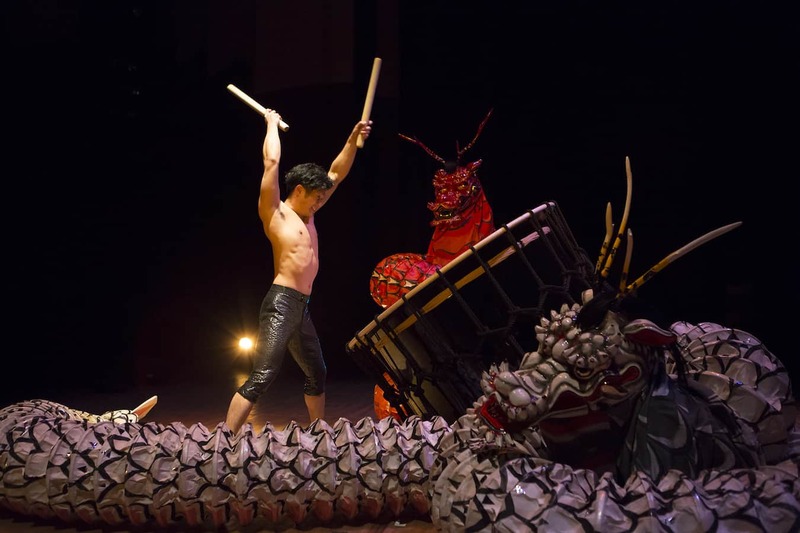 Spending about a third of the year touring overseas, Kodo’s world-renowned performances truly transcend borders, genres and time. 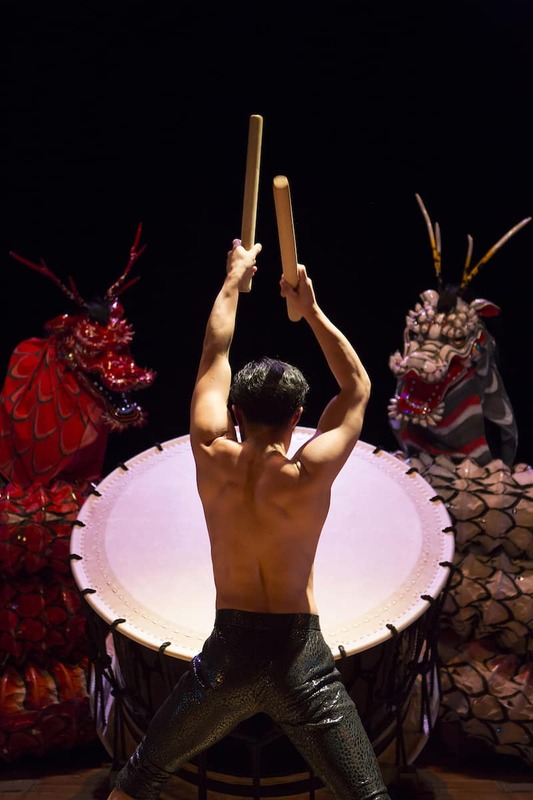 Kodo returns to North America this year with their latest production, Kodo One Earth Tour: Mystery, which was created by its Artistic Director (and Japanese Living National Treasure), Tamasaburo Bando. 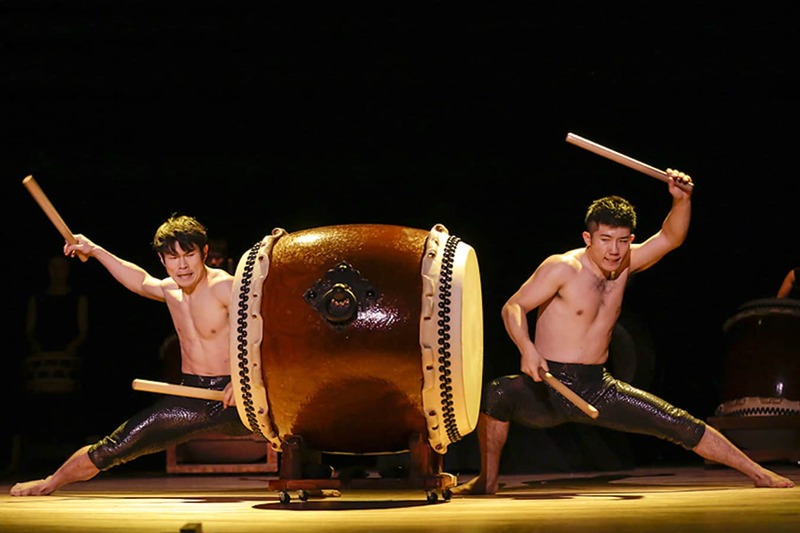 A leading Kabuki actor and the most popular and celebrated onnagata (actor specializing in female roles) currently on stage, he has proven a catalyst for Kodo to break new ground in their critically acclaimed Taiko expression. We recently had the chance to interview two members of the Kodo family, Taro Nishita and Eri Uchida, about the history of Taiko drumming, its mythological origins in Japanese folklore, being ambassadors for Japanese culture, and what life is like on remote Sado Island. The taiko drum can be traced back to at least the 6th century in Japan. What can you tell me about its history? Taro Nishita: As you may see in many parts of the world, the taiko drum has been used as a form of long-distance communication, inspiration on battlefields, and in rituals since ancient times. The history of Japanese drumming is long, and taiko earthenwares were found in the Neolithic era ruins. In the 6th century various musical instruments came to Japan, along with Buddhism from the continent. People started using taiko in rituals of both Shinto (the ancient Japanese animistic religion) and Buddhism. Various Buddhism schools had their own style of taiko drum. Those religious rituals were popularized in the medieval era, and taiko developed and spread as a performing art in rural and urban festivals. In the early modern times, performing arts such as Noh theater, Kabuki theater and Bunraku puppet theater flourished, and taiko started to have its role as an accompaniment to those art forms. The taiko in the ensemble form, using multiple drums as Kodo performs today, has a rather short history. It started just a half-century ago. I’ve read that taiko drums have mythological origins in Japanese folklore. Can you tell us that story? Nishita: There is a story called “Ame no Iwayato” in Japanese myth. The Sun Goddess Amaterasu was angered and grieved by her brother Susano-o’s destructive behavior and hid herself behind the heavenly Rock Cave. This threw the entire world into darkness, which might be associated with an eclipse of the sun in ancient times. The deities teamed up to bring back Amaterasu, the source of light, to the world. They did this by playing instruments, singing and dancing outside of the Rock Cave, and one goddess started dancing on a overturned tub… much like playing a taiko. Most taiko drummers begin training at an early age. How did you first become a drummer, and what was your early training regimen like? Eri Uchida: I actually started when I was 16 years old, a year before I went to high school in Canada. I started with a local taiko group, because I thought it will be good to learn some Japanese culture before I go abroad. I later started concentrating on taiko playing in Kodo’s apprentice program. There, we not only learned to play taiko, but I believe the cooking, exercising and harvesting produce we do all connects to my performance. What was the process you had to go through in order to become a member of Kodo? Is there an audition process, or were you groomed for an early age to join the ensemble? Uchida: I decided to go to the apprentice center in Japan when I was 19 years old, after I saw Kodo in Vancouver for the first time. You need to attend 2 years of Kodo’s apprenticeship program in Sado. There are 4 selection processes you must go through before you become a full member of Kodo. A year after you enter the apprenticeship program, you graduate from the apprentice center and become a junior member of Kodo. Then you are able to go on tour with the other members for a year. Finally there’s the last selection, when you have a chance become a full member. If you fail, you must go home. You do not get a second chance. What is the feeling of personal honor that comes from being part of the world’s most famous Taiko ensemble? Is there a sense of national pride in being an ambassador for Japanese culture? Uchida: I do have a sense of being an ambassador for Japanese culture, just as Kodo has been a pioneer of Taiko. I was so touched when I saw 2000 Canadians being so enthusiastic for Kodo’s performance at a concert in Vancouver. However, I don’t want to end by merely introducing a Japanese culture. I want to share something in common with our audience as a human being. Taiko drummers must be in remarkable physical condition. What is your daily training and rehearsal regimen like? Uchida: I run or dance more instead of doing muscle training because the muscle I need to play taiko will grow the best from actually playing taiko. I do some core training to learn to use my body efficiently in order to be able to play for a long time. 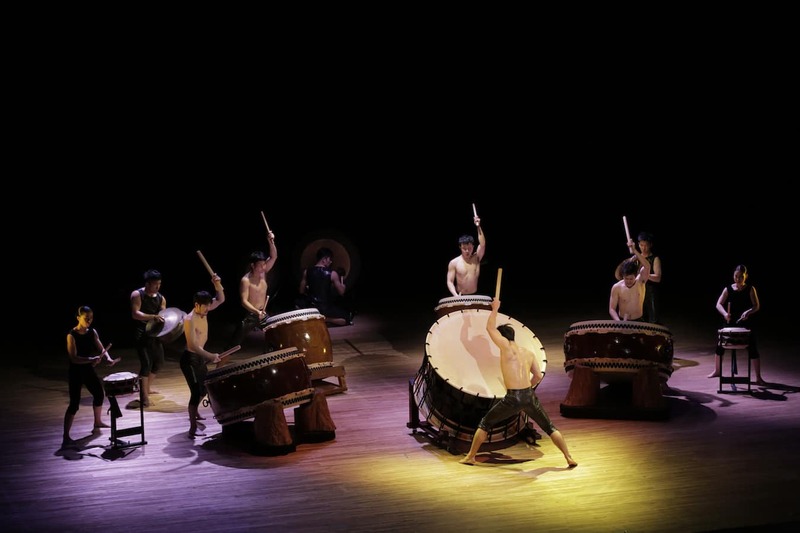 We adjust the volume and tones [of the drums] depending on the sound and conditions of the taiko at each theater. 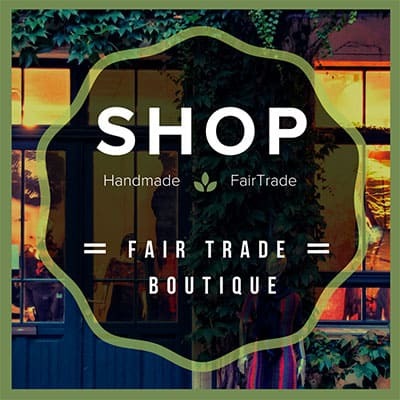 Taiko is influenced by humidity a lot, because it is made from natural materials such as wood and animal hide. We are always trying to find the best sound at each theater where we perform. Can you talk about what it’s like working with Artistic Director Tamasaburo Bando, and the creative vision he brings to Kodo? Uchida: Since Tamasaburo came to work with us, I became more open minded. By taking off our Hanten (a traditional Japanese short winter coat, which has been worn by the common people of Japan since the Edo period of the 18th century), we are able to get out of our stereotypical image of taiko and Japanese festivals. In doing so, we are able to express ourselves more freely on a musical level. For people who’ve never seen Kodo live before, what can they expect to see from Kodo One Earth Tour: Mystery? Uchida: Taiko can be enjoyed by anyone, just by listening and watching it live. You can even feel the definite vibrations of the drums through your skin. Our latest production, Mystery, features several different Japanese cultural traditions as well as comical scenes which can be enjoyed by people of all ages. I’ve heard that Kodo’s home, Sado Island, is a beautiful tourist destination. Can you tell me a little about the island and a few things you recommend people should see and experience if they visit?